Easy Stand Alone SLESA-U7, Computerized Lighting Controler from Sunlite in the ESA series. Sunlite is presenting a couple of new products at Musikmesse: SLESA-U7 for architectural lighting, and SUITE2-FC for live, computer-assisted performances. 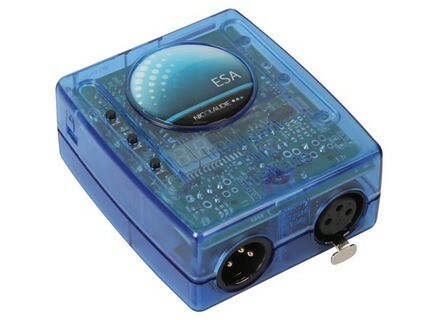 SLESA-U7 (EASY STAND ALONE – USB SD version) w/ USB-DMX box & STICK technology (SDcard, infrared, ESA PRO…): US$ 599 / 499 euros. SUITE2-FC (SUNLITE SUITE 2 – First Class) w/ 3 DMX environments (1536 channels), can be used w/ any Sunlite software, including Sunlite Suite 2 (Q4 2009): US$ 1099 / 899 euros. Both products will be available by the end of April 2009. Antari DNG-200 The DNG-200 Low Fog Generator is a ground fog effect from a unit with wheels and handles. Chauvet Colorado 2 The COLORado 2 indoor/outdoor color wash is fitted with 48 2- to 3-watt LEDs, including white for color temperature control. Elation Design Panel 72IP MKII The Design LED Panel 72IP MKII (DLED Panel 72 MKII) by Elation Professional is an outdoor color L.E.D. wash panel equipped with 72 3W Luxeon K2 L.E.D.’s (24 red, 24 green, 24 blue) producing various color possibilities using RGB color mixing.